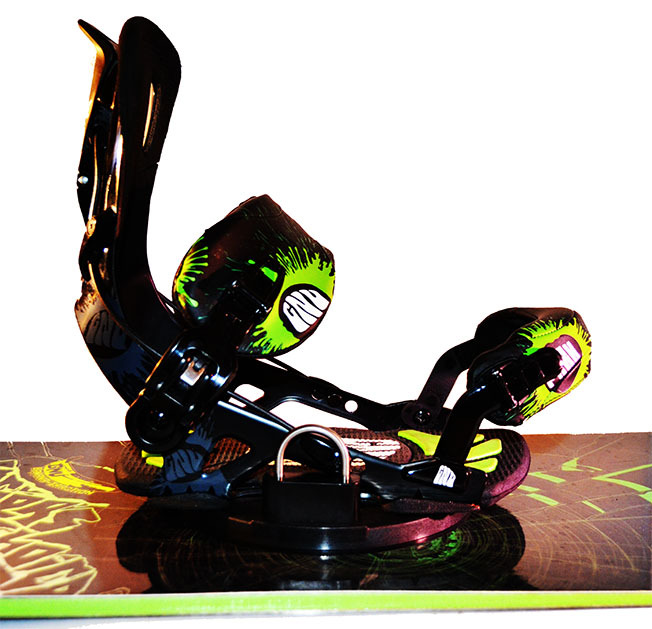 Rotate your existing snowboard binding 360° in 5° increments locking securely without tools! 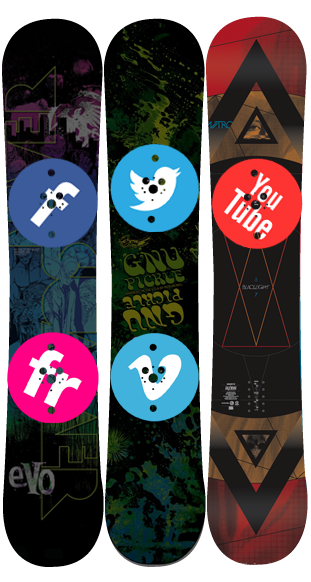 Kick your snowboard like a skateboard on flat surfaces, ride the lifts in comfort, develop new tricks! Mounts with 4-hole and 3-hole insert patterns and to EST boards! Extremely safe with double pin locking feature, and pressed in inserts retained with safety collars! Ultralight design (13.4 ounces) with hollowed out ribbing! Doubles as a low riser plate preventing heel and toe drag! 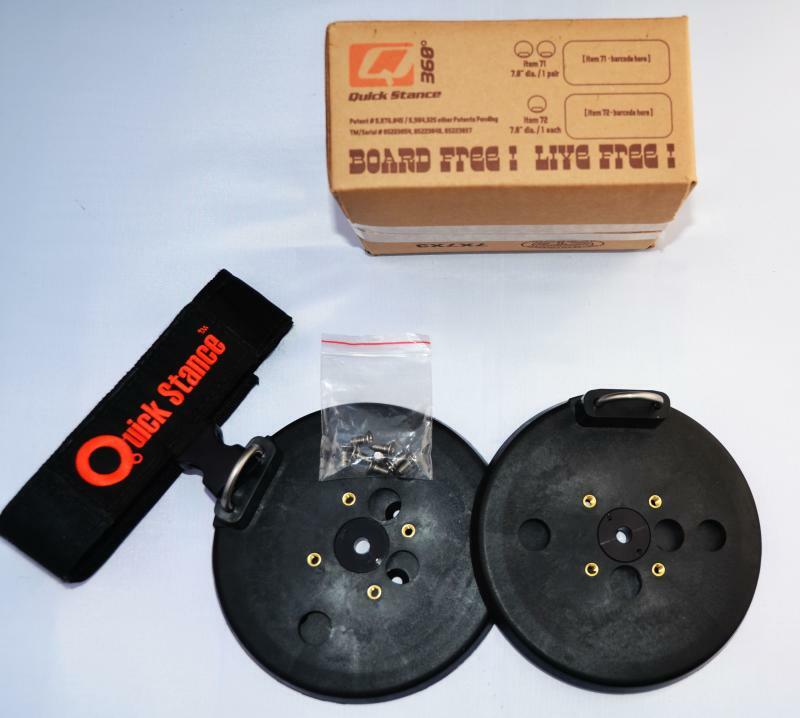 Quick Stance is a revolutionary new product allowing you to rotate your existing snowboard binding 360° in 5° increments without tools! Simply pull up the trigger and you can adjust your stance in an instant. On releasing the trigger the pressured double pins lock immediately into place. The ultimate snowboard binding adapter!